Major League Baseball All-Stars Coming to Miami! 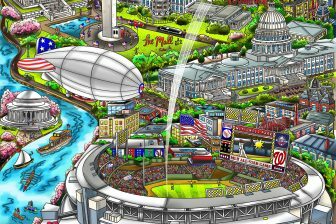 As he has done for the last thirteen years, Charles Fazzino has put together an exceptional art collection for the 2017 Major League Baseball All-Star Game which will take place on Tuesday, July 11th at Marlin Park, home of the Miami Marlins. The Major League Baseball All-Star Fanfest will be held at the Miami Convention Center, July 6th through July 11th . Fanfest is the largest baseball fan event in the world. Test your arm against the game’s greatest relievers, tour an authentic dugout, see all of the World Series rings, and more! And of course, make sure you check out the Charles Fazzino All-Star Game Art Collection. Fazzino will be on hand each day of the event. He will meet and greet fans at his own exhibition throughout the five days. 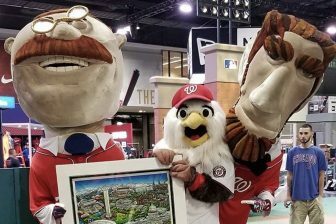 In addition, his artwork will be featured on one of the commemorative All-Star Game Program Covers, and he will be autographing those for Major League Baseball throughout the event as well. 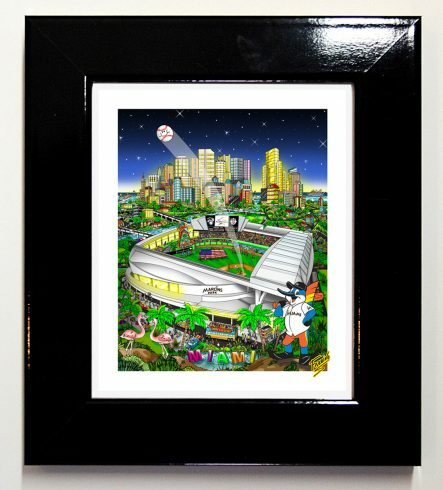 Here is the entire Fazzino signature All-Star Game Art Collection. 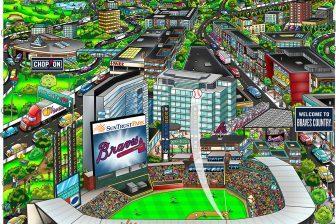 Contact your favorite authorized Fazzino gallery, email us at info@fazzinocollectors.com, or visit us at Fanfest for purchasing information. Make sure you’re tuned in to our Facebook Fan Page for our bi-weekly MLB All-Star Trivia Challenge. We’ll be giving away a bunch of All-Star Games posters between now and game day! 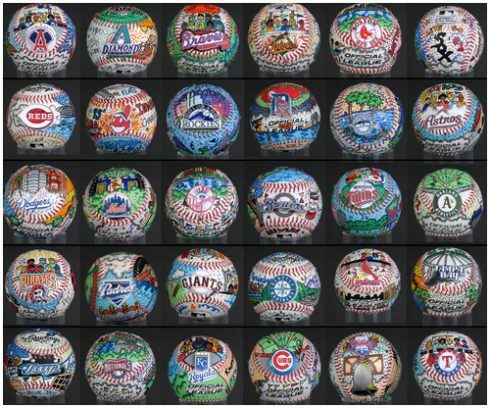 And enter the All-Star, Ball-Star Baseball Contest for the chance to win a Charles Fazzino hand-painted 2017 MLB All-Star Game Baseball! Check in with your favorite Fazzino Art Gallery or email us at info@fazzinocollectors.com for purchasing information.